positivID Professional is the ultimate in ID Badging software, with a comprehensive range of features that can be printed onto single or double-sided cards. positivID Professional works with all standard PVC card printers and other Windows printers. It can also transmit card images to another copy of positivID Professional, or to the positivID Bureau System (TM) for remote printing. Our simple 3-step card production minimises the amount of time you spend entering details, while powerful functionality allows for complex designs and quick issuance. 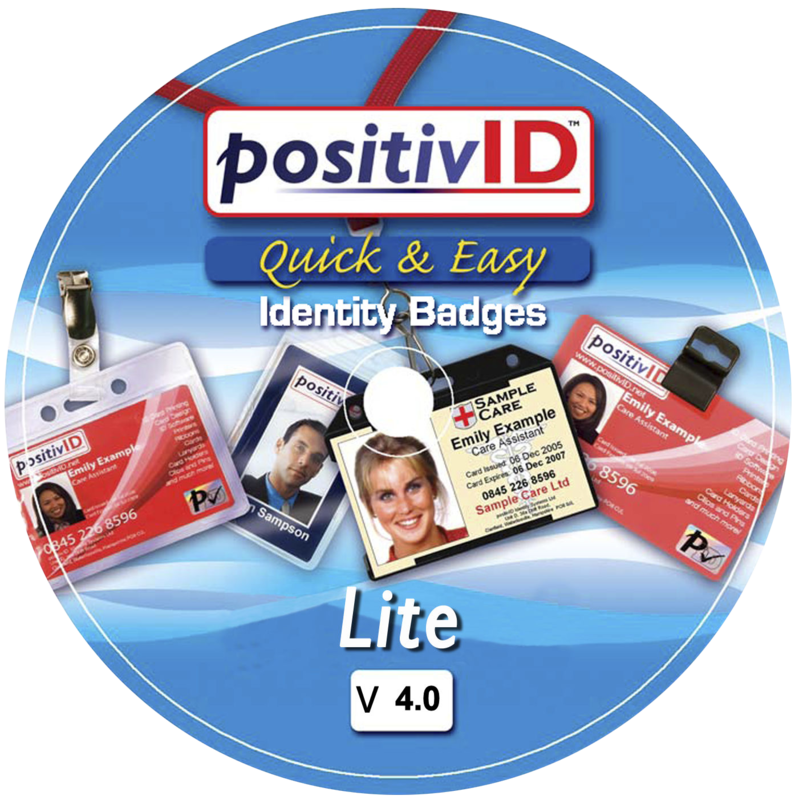 positivID Lite is the entry level solution to your ID Badging needs and is ideal for clubs or small businesses. positivID Lite allows you to print directly to PVC Card printers on to either paper (including photo quality paper) or sticky labels. 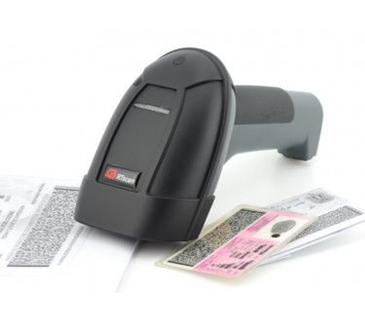 positivID Lite provides employees or club members with instant, easily replaceable ID cards that are real value for money. Our flexible badge design automatically creates a database of cardholders, whose photo images can be captured from multiple sources. Our simple three-step card production process minimises the amount of time you spend entering details. Our clear, uncluttered screens ensure it is easy to learn and use the system, so that you can be producing your ID Badges in no time! 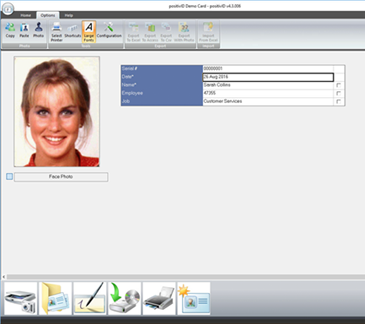 With all the powerful features of positivID Professional, positivID Workstation transmits card images to a copy of positivID Professional, or to the positivID Bureau System for remote printing. Temporary cards can also be printed to a paper printer. Our flexible badge design allows for multiple card designs to be stored and automatically creates a cardholder’s database for entry of details or import of data from existing databases. Photo images can be captured from digital cameras, webcams, video cameras and scanners – or from existing photos on disk. Our simple 3-step card production minimises the amount of time you spend entering details, while powerful database handling tools allow for quick replacement of lost or stolen cards. Our clear, uncluttered screens ensure it is easy to learn and use the system. Verification – a complete time and attendance system, linked to a positivID Professional ID card database. Full, comprehensive management reporting combined with a visual display of the card holder. Museum entry scanners – designed and integrated into a world heritage site at multiple locations in a major city. The system checks visitor’s tickets and displays real-time messages, including expired cards, flagged cards, urgent messages etc. Clears lengthy queues quickly and easily! 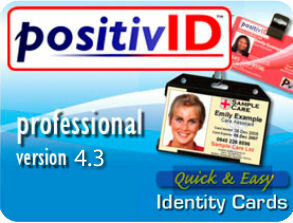 Smartcard applications – Allows positivID Professional to read and encode smart and chip cards in one simple process.